Jon Robins, who many readers will know of as the editor of the excellent www.justicegap.com, has written a first class book, The First Miscarriage of Justice, which pulls off three tricks. First he tells a riveting and rather sad story of an ordinary man whose life was shattered by an outrageous miscarriage of justice. Secondly, he takes us back in time to a Life on Mars world of Cortinas, Mini Coopers, bent coppers and biased judges. Thirdly, he reminds us that whilst the Cortinas may have vanished the modern judiciary is by no means as clever or as fair as it sometimes likes to imagine itself. 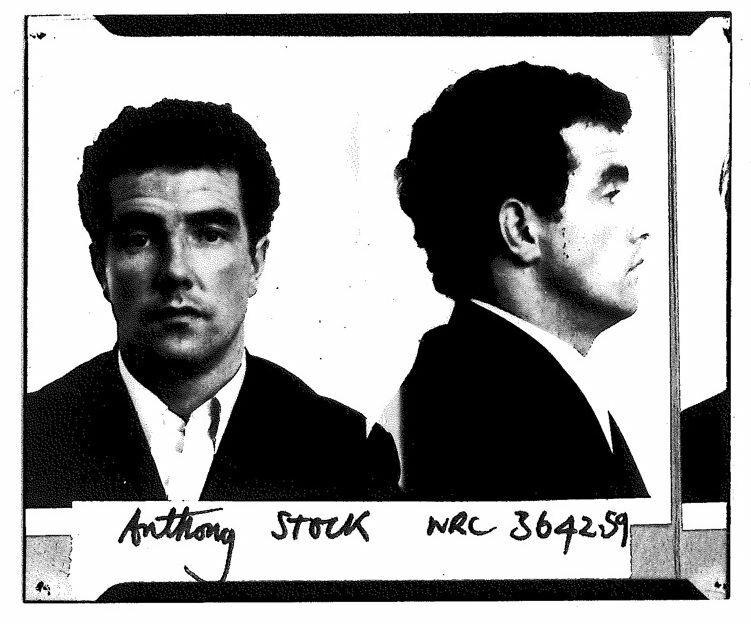 Four times Tony Stock’s case has been to the Court of Appeal. Four times, disgracefully, it has been rejected. The facts that gave rise to his conviction for robbery are simple enough. At about 6.45 p.m. on a wet Saturday evening in January 1970 two employees of Tesco were taking the day’s takings to the bank. They were suddenly attacked from behind by robbers wielding iron bars. They dropped the cash, which was picked up by the robbers who made off in a Ford Cortina. The car which had been stolen, was later found abandoned in another part of Leeds, while a holdall containing money-bags from the robbery was found close to the A58 Wetherby to York road, about 12 miles away. Only one witness, another employee called Wilson, was able even to catch a glimpse of one of the robber’s faces. His description was of a man in his early 30s with light brown wavy hair. He looked at him for “two or three seconds.” With police help he was able to stitch together an “Identikit” picture which was then circulated to nearby police forces. Tony Stock, who lived 75 miles north of Leeds in Stockton on Tees, seems to have become a suspect because of that old-fashioned and dangerous thing: a copper’s hunch. Two years earlier he had been acquitted of a robbery in Bradford and a Bradford officer involved in that case saw the Identikit and noticed its undoubted resemblance to Stock. The precise details of what happened on the door-step remain disputed. But Stock tried to slam the door in the officers’ faces and Wilson purported to identify him as one of the robbers. Stock always denied saying anything incriminating at all. His case was that words written down by DC Mather were simply invented. To make matters worse for Stock, various other Tesco employees also said they had seen a man matching his description in the shop a few days before the robbery, the implication being that he was “casing the joint.” They were shown his photographs and agreed it was Stock. Just to be sure the police arranged for them to attend the Magistrates’ Court when Stock was produced from the cells and, hardly surprisingly, they all identified him. At his trial Stock was in a classic defence dilemma. If he was innocent he needed to explain why he had been so uncooperative. Why, for example, had he not agreed to stand on the parade when first asked? The answer was that he believed that police were annoyed about his acquittal for the Bradford robbery and were determined to get him for this one. 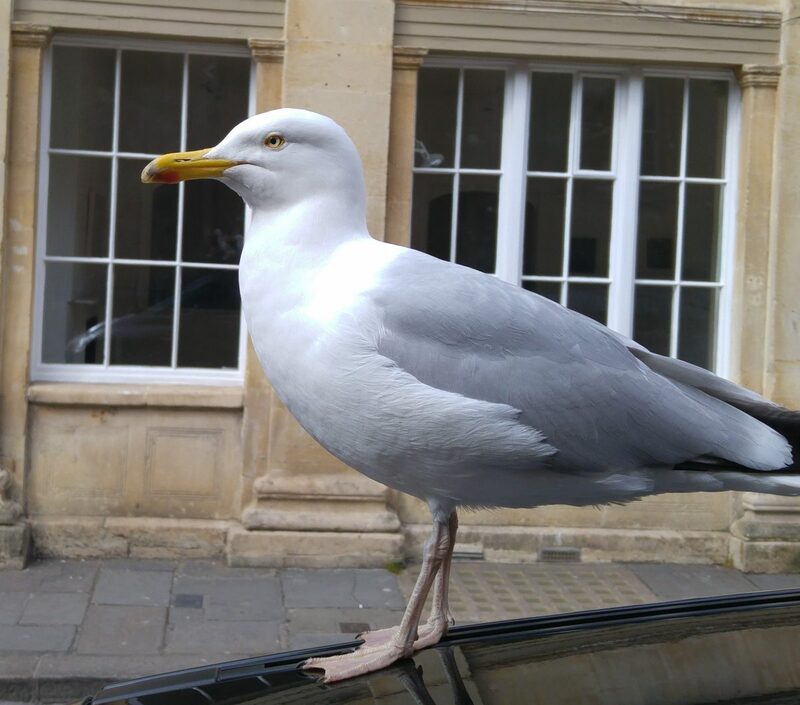 But if he revealed to the jury the fact that he had been acquitted of another robbery that might be more likely to damage than to help his case; moreover if he attacked the police too hard his previous convictions too would be revealed to the jury. In those far off days a robbery of this sort was thought to merit two counsel and his team (a North Eastern Circuit dream ticket of Raymond Dean QC and Harry Ognell), decided not to risk it. He had a short criminal record but it included convictions for two robberies. One of these was a trivial matter but the other was more serious and had resulted in a three year gaol sentence. The finding of the holdall in Wetherby, close to an obvious route from Leeds to Stockton.Conveniently for the prosecution there was no evidence pointing towards anyone else. His defence was alibi. He was at home enjoying his birthday. His only supporting witnesses were his wife and nine year old daughter. The trial went disastrously. Although, as Robins points out, the dangers of identification evidence were widely recognised by 1970, they were seldom brought home to juries. The landmark case of Turnbull (which required judges to warn juries in clear terms of the dangers of such evidence) was still six years in the future. Stock’s trial judge, Mr Justice Hinchcliffe certainly did nothing to emphasise the ease by which honest identification witnesses can be both mistaken and convincing. As for the unfortunate Charlene, Stock’s nine year old daughter, thrown into the terrifying atmosphere of a court-room she broke down in tears and said almost nothing. And that would have been that, except that Stock refused to accept his guilt. When his appeal was rejected he embarked on a hunger strike which he only ended after the intervention of Tom Sargent the founder of Justice and an indefatigable campaigner on behalf of those claiming to be wrongfully convicted. One by one Robins describes how the various strands in the case against Stock started to unravel until there was virtually nothing left of it. First, DC Mather found himself in the Crown Court dock on a corruption charge, the allegation being that he had offered to drop charges against a suspect in exchange for a bribe. Although he was acquitted his trial judge described him as “either corrupt or stupid” and whichever it was “unfit to be a police officer.” His police career was over. Further corruption allegations were about to be dealt with by an internal disciplinary tribunal but, but Mather resigned rather than try to defend them. Over the next few months a wave of corruption and misconduct cases swept through the Leeds police force. Then in 1978, three years after his release from prison, there was a development that destroyed the case against Stock even more fundamentally. A London gangster Samuel Benefield – known to his underworld associates as “Scotch Sammy” – was arrested for a vicious armed robbery. He decided to turn supergrass and his evidence was used to gaol at least ten of his former cronies. While in custody, however, he was asked to confess to other jobs in which he had been involved. One of these turned out to be the Leeds robbery which he was able to describe in considerable detail, including the rainy weather. His gang had travelled up by train, stolen a Cortina in Leeds, abandoned it, got into another Cortina which they had then driven to York – stopping only to drop a suitcase in a stream on the way. He named the other gang members and they did not include Stock. Benefield’s story was corroborated by the fact that a second Cortina had indeed been stolen in Leeds, and had been found abandoned at York railway station shortly after the robbery. Faced with the officer in the case appearing to be dishonest, or at any rate “unfit to be a police officer,” and a highly plausible alternative suspect who, for no conceivable personal gain was saying that Stock was innocent one would have thought that any reasonable Court of Appeal would be bound, at the very least, to accept that the conviction was unsafe. Stock, indeed at one time had high hopes of a free pardon. But it was not to be. Just as when the case against the Guildford Four and Birmingham Six crumbled (for very similar reasons of police malpractice and the fact that the real guilty parties admitted their guilt), so in Stock’s case first the Home Office and then the Court of Appeal bent over backwards to uphold an increasingly obvious miscarriage of justice. A second appeal was eventually heard in 1996, presided over by Lord Justice Judge. 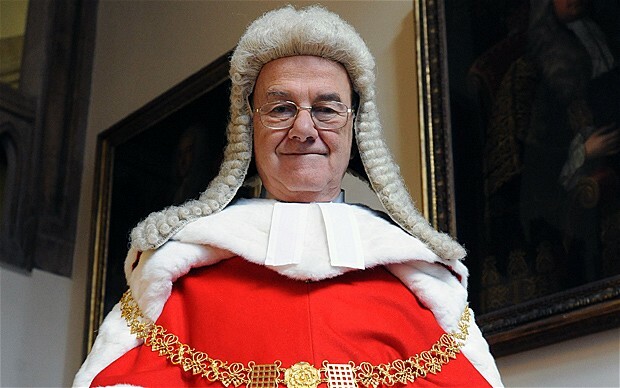 Anyone who has ever met Lord Judge – who retired only last year as Lord Chief Justice – will know that he is a highly intelligent, forceful and persuasive man. If anyone should have been aware of the risks of wrongful convictions it should have been him. After all he had prosecuted the innocent Birmingham Six as well as those wrongly convicted of murdering newspaper boy Carl Bridgewater. Yet his judgment was almost dismissive of the possibility that Stock might be innocent. Nor was it free of basic, though critical errors. The finding of the holdall in Wetherby, for example was, according to Judge on “an extraordinary” route for someone driving from Leeds to York. In fact, as even the police acknowledged it was on a very obvious, and perhaps from the part of Leeds where the robbery took place, the most obvious such route. Robins cleverly weaves the story of Stock’s personal life after the Appeal Court rejected his 1996 appeal, with a discussion of the role of the Criminal Cases Review Commission, which enthusiastically took up his case in the years that followed, referring the case back to the Court of Appeal not just once but twice. Connoisseurs of judicial bone-headedness will enjoy the contortions of subsequent courts as they struggled to uphold a case based on evidence that for the most part had disappered. The identification? The Court of Appeal would not accept that a look of 2 – 3 seconds in a frightening, fast moving incident at night and in the rain was a “fleeting glance.” To do so, of course would be to admit that – in the light of the Court’s own decision in Turnbull – the case should have been stopped by the trial judge unless there was some supportive evidence. And what supportive evidence now remains? The “verbals”? Who could possibly accept these given what is known about Mather’s subsequent police career? The holdall on the route to Stockton? Except that it was actually on the route to York as well, where Benefield had said he had dumped it, just as the second stolen Cortina was found abandoned at York station, exactly where Benefield had said his gang left it. Nothing seemed to shake the Court of Appeal’s complacency. During one appeal Lord Justice May even said: “We question the value of this exercise 30 years or more after the original trial and appeal ….” Given the Court of Appeal’s habitual reluctance to stay prosecutions relating to historical allegations from 30 years or more ago, when it is seldom doubted that juries will be able to reach “safe” guilty verdicts, the irony is unavoidable. Always, though, their contortions have come back to saying that Lord Justice Judge rejected his appeal in 1996 and that nothing much has changed since then. Readers will have to judge for themselves. It really should not be so difficult. Courts make mistakes. The Court of Appeal is there to put them right. No fair-minded person can possibly believe, after reading this book, that the Court of Appeal has got it right in this case. To describe Stock’s conviction as “safe” – as successive courts have done – in the light of everything that has come to light since his conviction, borders on the absurd. The book contains plenty of heroes as well as villains. Tom Sargent of Justice; Ralph Barrington the CCRC investigations adviser who devoted so many years work to righting what he regarded as an obvious injustice and continued to do so even after his retirement; Glyn Maddocks his solicitor who also worked hard and presumably for minimal reward for his client, even after Stock’s death; and of course the likeable and determined protagonist himself, whose life was damaged almost irreparably by the injustice. It seem unlikely that this will be the last word on the Stock case, and nor, I am sure, would Robins want it to be. Justice may yet be done, although it will be too late for Stock who died in 2012. This fascinating, atmospheric and important book highlights a shameful truth, that even now, 25 years after the release of the Guildford Four, the English legal system has great difficulty admitting that it is capable of getting things wrong. For a system which is supposedly designed above all else to protect the innocent from wrongful convictions, that is a pretty serious fault. I followed the Hanratty case after reading the excellent ‘Who Killed Hanratty’ serialised in the Sun I think it was in the early 70’s by the late great Paul Foot. I became convinced of his innocence given the evidence he was in Ryll at the time of the murder and the fact that Peter Alphon admitted being the killer (an attention seeker at best). I’m still not convinced he is guilty, despite DNA apparently scuppering 40 years of hope for the Hanratty’s. Sounds like an interesting, well researched book Matthew and certainly worth a read ! Matthew, thanks for the great review. I’m particularly glad you flagged up the ‘heroes’: Ralph and Glyn – and Tom Sargant. Tom Sargant’s work on this and other similar cases was extraordinary. The fact that the case went back to the Court of Appeal on two separate occasions after Paul Foot wrote those words beggars belief. It’s a great book Jon, well able to hold its own with the Ludovic Kennedy, Robert Key & Chris Mullin classics. Thanks Jon now there’s a coincidence ! I know of a similar case – a disabled man whose neighbours bullied andvandalised him and his wife for years on end, Every time it got to court, they accused him of assault etc and he ended up with a string of criminal convictions, Lawyers did not help him, Attempts to appeal got nowhere. He would still love to clear his name before his wife (who is much older) dies. It would make her happy. But there is little hope of it. Next Next post: Will Miliband now throw his respectful support behind Van Man Dan’s planning application?